Democrats cannot have it both ways. If you oppose jailing and exiling people for crossing an invisible line, you must be in favor of significantly opening our borders. Fortunately, that’s fine. Both parties recognize that temporary guest workers and undocumented laborers are important to a number of industries, as well as services (including domestic labor and elder care), of which politicians, donors and constituents personally avail themselves. In some industries, like harvesting, fishing and summer resort work, immigrants are often the only willing labor available. But in the eyes of employers, the chief advantage of immigrant labor is that immigrants are often easier to coerce and control than citizens. The promise of available work encourages a large number of people to immigrate, but Democratic policymakers are wary that appearing to let too many people in will allow political opponents to stoke nativist sentiments. So the United States pays Mexico (through the billion-dollar Merida Initiative) to stop some people before they get to the border, then menaces and detains the subset that U.S. Border Patrol apprehends in the act of crossing, and then sends Immigration and Customs Enforcement (ICE) to round up and deport some of those who get through. These brutal policies keep the unofficial workforce stable, at around 8 million over the past 10 years, and keep undocumented and guest workers fearful enough to refrain from availing themselves of workplace protections. If you truly believe in human equality, privileging U.S.-born workers simply because of their birthplace is unjustifiable. Even the most hardline Republican authored immigration bills avoid imposing serious penalties on employers who use undocumented labor, and have included provisions to expand the guest workforce while further cutting off its access to labor protections. Democrats are more likely to tout immigration as a public good, then substantively align themselves with Republicans on border security and internal enforcement. The present debate over whether we should have a physical wall along the border (as preferred by House Republicans) or a “smart wall” of high-tech surveillance (as preferred by House Democrats) is simply one of cost-effectiveness, not a real difference of opinion. The blatant racism of the Trump administration has motivated more members of the public to learn about the operation of our immigration system and drawn attention to its irrationalities and cruelties. Some Democrats, including Sanders, Harris and Sen. Kirsten Gillibrand (D-N.Y.), briefly seemed to join the call to “abolish ICE” in response to family separations in summer 2018, but when pressed for detail, variously advocated replacing or restructuring the agency. A bill by Reps. Mark Pocan (D-Wis.) and Pramila Jayapal (D-Wash.) to abolish the agency went nowhere. For now, Democrats are in resistance mode, defying—at least rhetorically— Trump’s most extreme proposals. But very soon, as the 2020 presidential primaries get underway, Democrats will be pressed to put forth a plan for when they are in power. 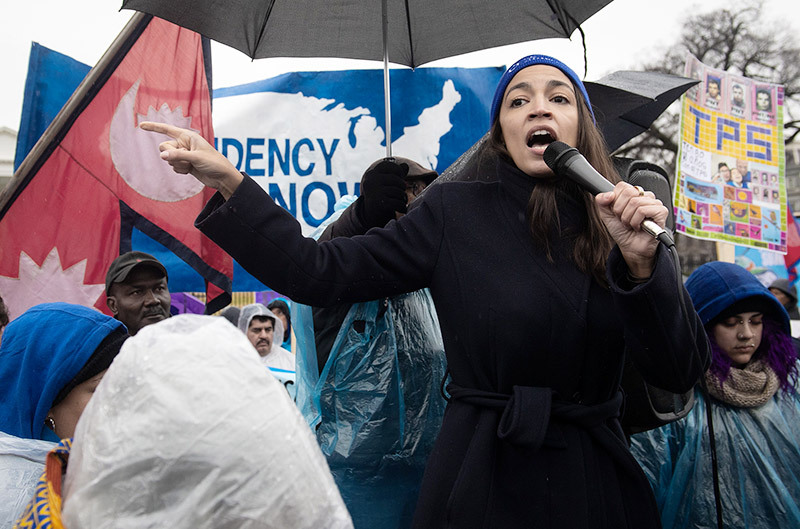 At a moment when there’s real appetite for better immigration policy, it’s incumbent upon progressives to present the Democrats with a vision that goes beyond the anemic compromises of the past. Xenophobic and fearmongering arguments against immigration have become easier for most people on the Left to discredit as Trump presents them in their rawest form. There are no statistics to support Trump’s assertions that immigrants disproportionately commit crimes, and more drugs enter the U.S. market via planes and boats than across the southern land border (and those that do cross come through regulated points of entry). Some of the country’s post-9/11 paranoia has abated. But one argument that still remains persuasive to some is that immigrants will flood the labor market and compete for jobs with citizen workers, particularly those in low-wage jobs. We can immediately take issue with this premise on moral grounds: If you truly believe in human equality, privileging the economic well-being of U.S.-born workers simply because of their birthplace is arbitrary and unjustifiable. But even for those who privilege native workers, the argument that immigration is inherently “bad for the economy” is fairly easily dispensed with. The American Immigration Council estimates that immigrant-led households have $926.9 billion in collective spending power, and immigrant business owners accounted for 20.3 percent of all self-employed U.S. residents in 2015. 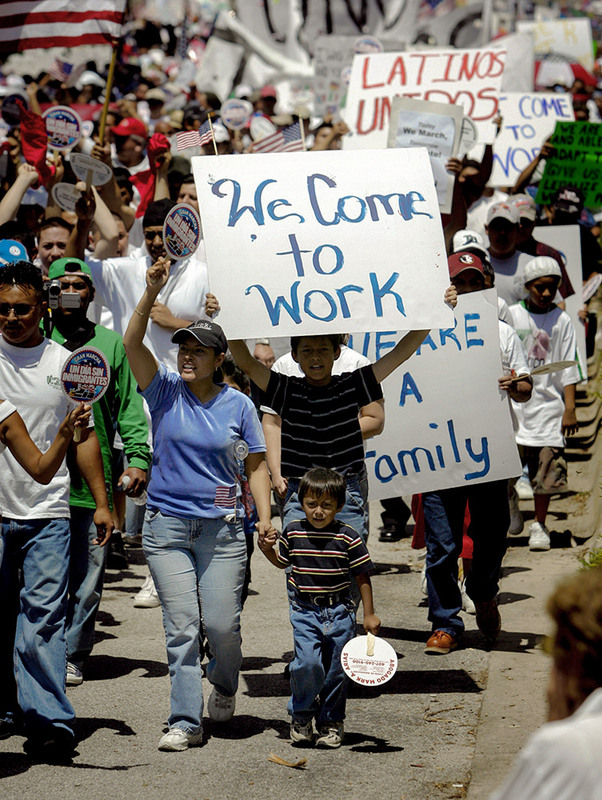 A 2014 Economic Policy Institute analysis found that immigrants, though 13 percent of the population, accounted for 15 percent of economic productivity. It is important to be most attentive to the effects of any policy on people who are already struggling. At the same time, however, we should be skeptical of commentators who blame immigrants for lower wages rather than the corporations that set those wages, as well as those who tout restricting immigration as the best way to redress the black-white wealth gap rather than reparations or other forms of investment in black communities. This argument reached peak hypocrisy on the lips of President Donald Trump, who often cites the welfare of “African-American and Latino workers” as reason for his racist immigration policies. The catch to any such bureaucracy is that, as long as you are restricting where people can live and work, you must enforce those restrictions. The Ray Marshall plan envisioned the continued use of deportation and border policing, as well as the expansion of a biometrically integrated system to keep track of immigrant workers—which represents, in effect, a vast expansion of the surveillance state. Right now, we need to show passports or ID cards at the border; under this new system, we would need our work papers checked (or eyes scanned) anytime we wanted to apply for a new job, and possibly anytime we wanted to enter our workplaces at all. Policymakers can talk in a general way about “carrots and sticks,” but the stick means the use of military force against ordinary people. 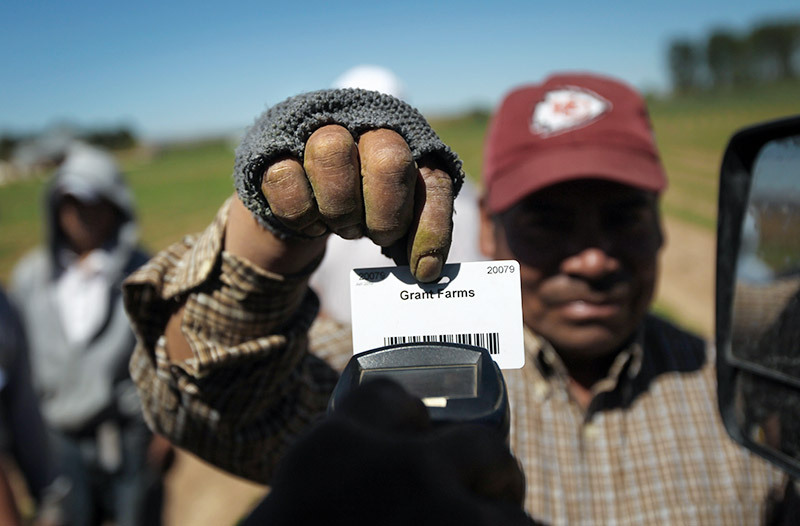 Such refinements of the regulatory system also struggle to address undocumented labor. The Ray Marshall plan proposes amnesty for the current undocumented population but doesn’t acknowledge that, as long as people’s legal work options are restricted, unauthorized migration will inevitably continue, as it did after the 1986 amnesty. If our enforcement system is not dismantled, those new immigrants will live in fear. When considering immigration enforcement, it’s important to break it down into a concrete series of actions that occur in the real world every day. Policymakers can talk in a general way about “carrots and sticks,” but the stick means the use of military force to stop ordinary people from crossing an imaginary line in the ground. Border militarization drives people to attempt entry at more and more dangerous and remote southern crossings, where many die in agony from intense desert heat. Enforcement means trapping ordinary people in places of profound poverty and instability. Deportation means physically ripping ordinary people away from their families. Detention, surveillance and Kakfaesque immigration bureaucracies psychologically and physically torture thousands every day. Anyone who has come into contact with the U.S. immigration-enforcement apparatus, whether as an immigrant, a friend or family member, or an advocate, knows that this is a system so fundamentally inhumane that no compromise can be made with it. It is a system for the jailing and exiling of humans who dare to try to live in a different place than the one where they were born. If such things were happening to U.S. citizens who migrated within the country—if people who tried to move from poor towns to prosperous cities were rounded up in the night and forced back to the countryside—the entire nation would be outraged. The ugly racist and nationalist dimensions of our present immigration system are not detachable features: They are fundamental to the premise of punishing people for their birthplace. These principles animate the second, abolitionist approach to our immigration system. Migrant-rights groups like Mijente, the Detention Watch Network and United We Dream take the detention and deportation of immigrants as moral nonstarters, and their goal is to disrupt the U.S. deportation machine from as many angles as possible. They advocate making long-term shields from deportation—like Temporary Protected Status (TPS), for people from war-torn or disaster-struck countries, and Obama’s Deferred Action for Childhood Arrivals (DACA)—into permanent statuses.They also seek to stop the military-style enforcement of immigration laws and end the practice of detention. This approach seeks to take the teeth out of the existing immigration bureaucracy, rather than creating a different bureaucracy with an equal or greater amount of teeth. Skeptics who think in the long term will ask, “What next?” If you oppose jailing and deporting people for immigration offenses, you must be in favor of significantly opening up the border, because when negative consequences are reduced, people without authorization will start to move more freely. Whether to advocate for opening our borders represents a real ideological divide, and it’s one that the Left will need to take sides on. In recent months, Trump and other Republicans have begun to wield “open borders” as a cudgel against Democrats, despite the fact that few (if any) Democrats advocate it. The Right is well aware that for most of the public, “open borders” triggers a xenophobic fear of invasion. As a short-term political calculation, Democrats may be able to use a more neutral term like “decriminalization” until the public sees, in practice, that these fears are largely unfounded. However, any reforms Democrats advocate should follow abolitionist principles: that immigration restrictions have devastating human consequences that significantly overshadow the few, highly questionable benefits, and that we should aim to do away with as much of our immigration enforcement system as possible and in no way expand it. An easy start is for Democrats to put forward a bill expanding humanitarian categories of immigration relief to encompass people fleeing violence, extreme poverty and natural disasters, and people with long-standing social or family ties to the United States. This is entirely in line with international practice; courts in places like Canada and the EU, for example, routinely use a “balancing test” to decide whether someone is deportable, weighing their immigration offense against other compelling factors in their favor. This approach is so commonsensical that many Americans believe it is how our immigration system already works, and that only “criminals” are deported. Deportation is effectively exile, a penalty we impose for no other crime. The most urgent target for reform is toning down the wildly disproportionate penalties that presently exist for immigration violations. One of these penalties is detention. There should be a complete end to the jailing or civil detention of people for immigration violations alone. Pilot community programs have been shown to be very effective at getting immigrants to show up for court dates, so that is an extremely flimsy excuse for the mass incarceration of immigrants. Another such penalty is deportation, which is effectively exile, a penalty we impose for no other crime. The Democrats must proceed from the starting point that, in almost all cases, deportation is both cruel and unnecessary. Even deporting those who commit violent crimes is a visceral punitive reaction that does nothing to either rehabilitate the individual or protect the people they might go on to hurt in their country of origin. To the extent that the Democrats must make concessions based on fears about “public safety,” any policy must be aimed at whittling down the categories of people to whom deportation applies. Another oft-cited public-safety concern is cross-border smuggling. It may make sense to keep some investigative units at the border, as long as these are focused on cartel-related violence—as well as the serious problem of human trafficking for the purpose of forced labor—and not on terrorizing irregular migrants. Any such measures should be coupled with the acknowledgement that U.S. drug policies contribute significantly to violence in source and transit countries, and with disinvestment in the drug war. Continued decriminalization of drugs in the United States will also reduce cross-border smuggling. More ambitiously, the Democrats should also put forward legislation that creates an ongoing avenue for unauthorized immigrants to regularize their status after they enter the country. This is not quite “open borders,” since it still acknowledges a distinction between authorized and unauthorized entry and requires people to make themselves known to the government, but it would certainly be a big improvement. A new status, something like “new resident,” could be created, carrying the same labor rights and benefits as U.S. citizens and offering an eventual bridge to a green card. To the question of whether new immigrants will hurt U.S. workers, Democrats should seize the opportunity to talk about what’s already hurting U.S. workers. Currently, little effort is made to ensure that anyone has access to wage and labor protections. ICE’s 2018 budget for its enforcement and removal department was $4.8 billion, while the Department of Labor’s 2018 budget for its wage and hour department was $280 million. We spent 20 times the amount chasing unauthorized immigrants than we did chasing unscrupulous employers. What if, rather than putting resources into preventing unauthorized immigrants from entering the workforce, we put resources toward ensuring that labor standards are actually enforced for all workers? Ultimately, Democrats must commit themselves to the principle of absolute equality between all human beings, regardless of their birthplace. A Democrat who truly believes in this principle will make it her tireless mission to see that it is enshrined in our laws and our practices. What About the Welfare State? Some progressives may balk at the abolitionist approach because they believe that open or nearly open borders are incompatible with the welfare state. This problem causes fewer moral conundrums for libertarian and pro-business open borders advocates like the Cato Institute, which envisions immigrants serving as a tier of secondclass citizen without access to public benefits. To be fair, some immigrants might prefer to be second-class citizens in the United States rather than struggle in their home countries, as libertarian economists frequently point out. And it would certainly be morally unjustifiable to oppose immigration because we disliked the sight of comparative poverty in our own country and preferred that it simply exist somewhere else, even if it were worse. However, there is no real reason to presuppose that the welfare state could not encompass more residents. In raw numbers, “balancing the budget” on the ambitious public programs the Left wants to implement, even if we don’t take into account new immigrants, is a challenge. Current welfare spending (when we include Medicare and Medicaid) adds up to roughly $1 trillion. Some additional monies can be reallocated from areas like military spending ($716 billion in the 2019 budget), corporate subsidies (estimated at $110 billion) and, indeed, ICE ($7.6 billion). We can also consider the possibility that, in a world where all workers earn a living wage, fewer people would need certain kinds of benefits—such as the $6.2 billion annually that subsidizes Walmart’s low wages. Still, the reality is that all of the Left’s proposed social programs— for expanding housing, healthcare, childcare and education access—will require a massive increase in spending, with the costs of additional immigrants being a marginal increase. Progressives generally propose to accommodate these new budget items through greatly increased redistributive taxation, and adherents of Modern Monetary Theory would suggest anxieties about the negative economic impacts of a large deficit are misplaced. The United States has the largest arable landmass of any country in the world but is the 177th-most densely populated. It is abundantly clear that, in terms of absolute resource constraints, the United States can support more population. The United States has the largest arable landmass of any country in the world but is the 177th-most densely populated. The birth rate has been below the rate needed to sustain the population since 1971 and has just hit an all-time low. The welfare state already has a large task on its hands in seeking to equitably redistribute the nation’s resources, but spreading those resources out among a somewhat larger population is not the most difficult aspect. In a world of more fluid borders, too, where workers were empowered to leave countries and regions where conditions were poor, it would be easier to organize around improving global labor standards. Institutions of the labor Left, such as the Industrial Workers of the World, have a long history of supporting free migration on ideological grounds, as a natural component of global worker solidarity and empowerment. Our goal should be to build a world of welfare states, not simply isolated pockets of prosperous welfare states amid a larger landscape of poverty and instability. The reticence of Democrats to fully embrace open immigration is belied by polls that show an astonishingly progressive impulse on immigration (and taxes) within the body politic. Even after the “caravan” scare, 81 percent of respondents to a Gallup poll supported a path to legalization. Candidates like Kansas Republican Kris Kobach, who embraced Trump’s anti-immigrant message in the 2018 midterms, resoundingly lost, and a study of the swing states of Colorado and Pennsylvania found that anti-immigrant campaign rhetoric backfired. Yet compromise for little gain remains the Democrats’ default. Forty-two Senate Democrats and Independents (including presidential contenders Bernie Sanders and Amy Klobuchar) and 213 House Democrats gave in to Trump’s threats of a second government shutdown and voted in February for a bill to increase border funding. Among the House’s holdouts were the new cohort of defiant young left Democrats—Ilhan Omar, Alexandria Ocasio-Cortez, Rashida Tlaib and Ayanna Pressley—who wrote in a joint statement that giving any more money to ICE or Border Patrol under Trump is morally unconscionable. Very soon, as the 2020 presidential primaries get underway, Democrats will be pressed to put forth an immigration policy for when they are in power. The labor movement, which will be at the table in any Democratic policy conversations, will also need to decide whether to make concessions or advocate boldly for giving all workers full rights, including freedom of movement across borders. The E-Verify component of the Ray Marshall plan was intended to bring the anti-immigrant Right, like the Center for Immigration Studies, on board for mass amnesty and stronger labor rights for guest workers. Many historically white and conservative building-trades unions increasingly include immigrants in their ranks—documented and undocumented—from port drivers to construction workers. In 2017, the International Union of Painters and Allied Trades hired DREAMer and migrant rights activist Neidi Dominguez, 30. As the union’s national strategic campaign coordinator, she helped launch Working Families United, a coalition with the Teamsters, Laborers and four other unions, representing 4 million workers, a third of the AFL-CIO’s base. The group joined with immigration groups to push for permanent status for DACA and TPS holders—central abolitionist demands. On March 12, House Democrats followed their lead by introducing a bill to create a path to permanency for these groups: HR 6, the Dream and Promise Act. The bill is in line with the demands and principles of the abolitionist wing of the migrant-rights movement: It lifts immigration restrictions without expanding the enforcement apparatus. Introduced by Rep. Nydia Velázquez (D-N.Y.), Rep. Lucille Roybal-Allard (D-Calif.) and Rep. Yvette Clarke (D-N.Y.) with 214 co-sponsors, it has the backing of House leadership. UNITE HERE, the United Food and Commercial Workers, and the Teamsters, Painters, Bricklayers and Laborers have all signed on. Although it is unlikely to pass the Republican Senate, it is a positive signal of the Democrats’ immigration strategy going forward. Ultimately, the goal of the conversation about immigration should be to challenge the premise. Immigration is not a problem: The hoarding of resources by the comfortable and greedy, in the U.S. and around the world, is the problem. The Left should not merely seek to reform our immigration bureaucracy. We should seek to abolish the components of a system that is designed to police and punish the poor and working class, and focus our energies on our real opponents. 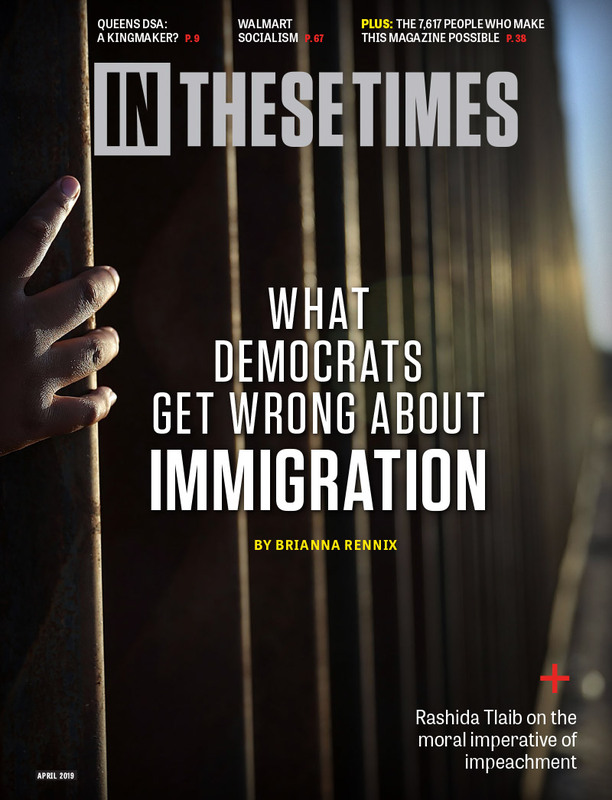 Brianna Rennix is senior editor of Current Affairs magazine and an immigration attorney practicing near the southern border.